A quiet mission of assassination is no sweat for legendary agent Matt Helm—until a shapely foreign agent he never got around to finishing off lures him into a strange trek in the wilds of northern Mexico. And when a Russian missile is smuggled out of Cuba, it falls into the hands of a political fanatic much too close to home. 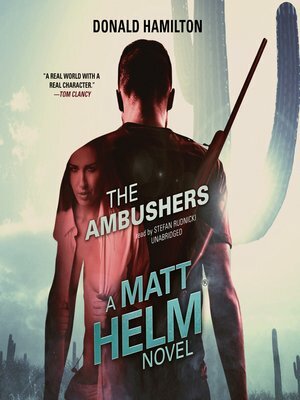 Originally released in the era of the James Bond novels, the Matt Helm novels were considered grittier and more realistic than Bond, garnering them critical praise and an ardent audience. This sixth installment in the series is a gripping adventure that masterfully balances action and humor.